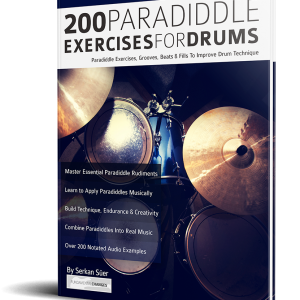 Need a Comprehensive Guide to the 40 Essential Drum Rudiments? Want to learn how to play and apply drum rudiments in real music? 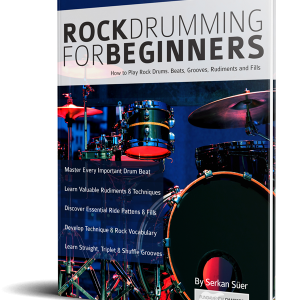 Do you want to learn essential grooves and fills based around rudiments for drums? 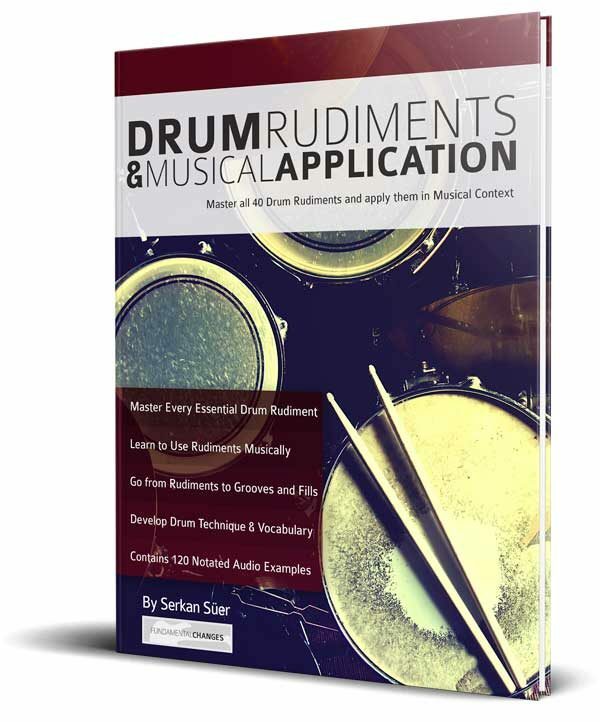 Drum Rudiments and Musical Application is the comprehensive guide to making drum rudiments musical. Audio Downloads that let you hear and feel how rudiments are used on drums. Detailed Sticking Indications and technical tips. Drum Rudiments are sticking combinations that form the basis of every beat, ride pattern, fill and solo. They are at the very core of everything that can be played on drums. 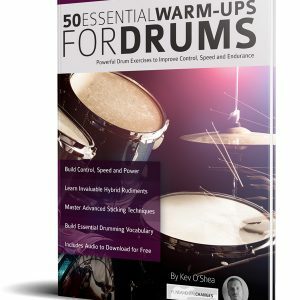 In 1984, The Percussive Arts Society listed 40 essential drum rudiments that have now become the foundation of all modern drum technique and tuition. Every one of these rudiments is taught in Drum Rudiments and Musical Application. 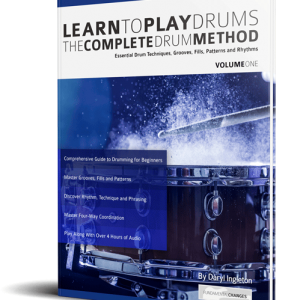 As well as mastering each essential rudiment through clear notation and detailed descriptions, you will also learn to apply each rudiment in a musical context. Every one is used as the basis of both a drum groove and an exciting fill so you can immediately bring new rudiments into your own playing and conquer new music. Each of the 120 notated examples is accompanied by an audio track that you can download for free. Hearing the rudiments in action accelerates the learning process and helps you to master each essential sticking combination for a lifetime of drumming success. This title contains 120 supporting audio examples to make the music come alive. They can be downloaded for free via an exclusive link in the book.